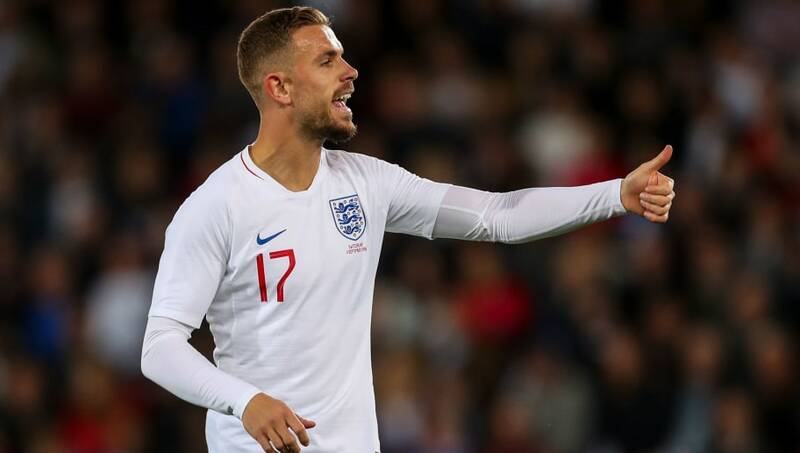 Liverpool captain Jordan Henderson believes England​ must get into the habit of winning matches if they are to carry forward the success from this summer's World Cup. Next month, the national team travel to Croatia in a Nations League tie that will pit the two sides against each other for the first time since England crashed out of the semi finals to Zlatko Dalić's side, losing the match 2-1. According to the ​Evening Standard, Henderson, who played a key role in England's success in Russia, believes the fixture on 12 October is an opportunity for Gareth Southgate's team to demonstrate their progress since that defeat. "We have come a long way in a short space of time and our focus will be on winning our next couple of games when we meet up, especially the Croatia one," said the midfielder following a 1-0 friendly win against Switzerland on Tuesday. "We want to win as many games as we can. Top teams do that, they keep winning and get into that winning habit." England got off to a losing start in their first game since the World Cup, suffering a 2-1 defeat to Spain at Wembley Stadium in the UEFA Nations League fixture. However, their victory over Switzerland ended a run of three matches without a win and Henderson was quick to take adopt a positive mindset ahead of their next game in Rijeka. The ​Liverpool star added: “The progress up to the World Cup and at the tournament was very good. And we made big strides. This camp was different, we came back from the World Cup and had to reflect. It was a bit strange but we have coped with it well. "We deserved a draw against Spain and got the win last night [Tuesday], so there are a lot of positives to take. “We have got to challenge ourselves to keep improving. If we do that then hopefully we can be successful soon. We are not there yet, we have got a lot to improve on.